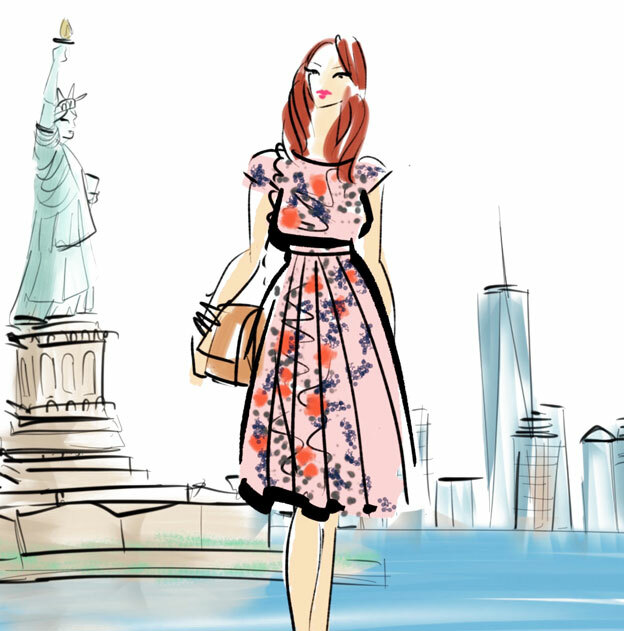 October is here and for the fashion savvy New Yorkers this means only one thing, the shopping season has arrived! 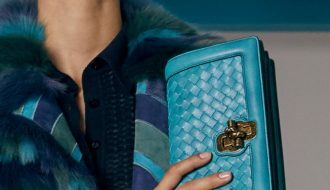 As you know many high-end and luxury brands hold their biggest sample sales in October and November. 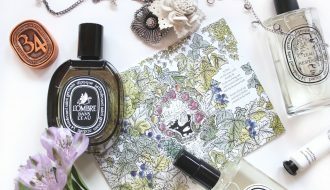 So far we’ve already had Hermes and Diptyque and starting this Sunday Dolce & Gabbana joins the illustrious list of events. Remember to check under Shopping > Events for the latest additions. Some of you have asked why they’re not getting e-mails when sales are posted and unfortunately the e-mails only go out when there is a new blog post, not an event post. You can always see the current sales right on the front page! Did you get a chance to shop at Hermes this week? 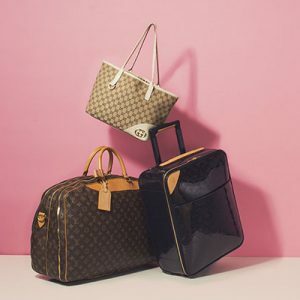 While no longer hosting sales in the city the brand still holds an annual sample sale at their Manhasset store. Alas I myself could not make the sale (shhhh, I’m going to Paris tomorrow!) but my good friend and fellow blogger, Le Hoarder made a trip. Please check out her Instagram page for all the juicy details and to see her amazing clic-clac haul. Discounts were 50% off retail and they used the number system to keep the line manageable. Unfortunately there was no time limit on how long you could shop or a limit on how much you could buy. This led to extremely long wait times and popular jewelry pieces selling out early. Although its worth mentioning that they did restock each day. If you did not get a ticket on Wednesday you were pretty much out of luck. Some have said they gave out a few more tickets yesterday but I cannot confirm that info. I would love to hear from you if you attended the sale. Also does anyone else feel a bit salty that NYC was the only sale to never have clic-clac bracelets?! 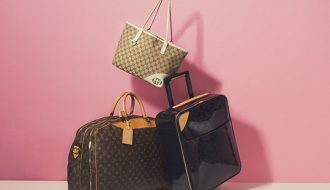 If Hermes was a bust for you then there’s another high-end jewelry brand that’s about to have a sample sale. 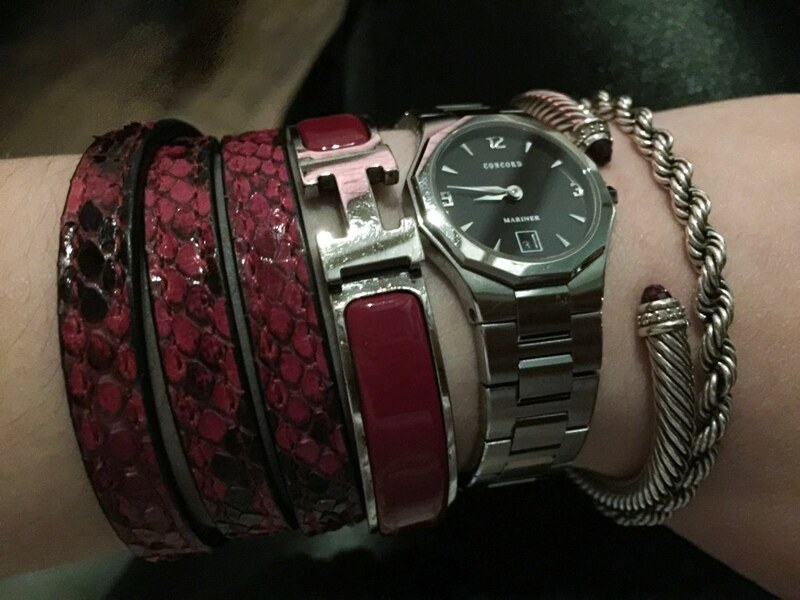 I’m talking about David Yurman, who’s cable bracelets have become almost as iconic as Hermes H. You’ll save 30% off signature wrist pieces while the rest of the stock is discounted by 40% to 60% off retail. I also have a tip to share if you don’t fancy waiting in line but would love to add a DY piece to your jewelry collection. David Yurman is a long time supporter of Breast Cancer Research Foundation, with 10% of all sales from the first day going toward the organization. They have another promotion during the month of October where if you donate $10 to BCRF you will get a discount code for 20% off any item at David Yurman outlet stores. There is no outlet in New York but you can easily shop by phone. I have a wonderful SA from Las Vegas and you can e-mail me for her info. 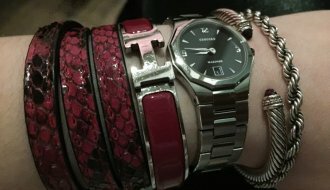 This is how I bought my own bracelet and it actually came out cheaper than sample sale. Outlet prices are all 30% off or more and with the coupon you get even bigger savings. This Sunday Dolce & Gabbana sample sale returns to Soiffer Haskin. Expect long lines (I really hate writing that but thats the current reality of discount shopping) and if you want handbags or jewelry you need to be among the first 150-200 shoppers. Discounts are usually 80% off retail which is not exactly cheap. Final day markdowns only apply to menswear so if you are a guy I highly recommend shopping Wednesday morning. Then on Thursday check out Paul Andrew sample sale where you’ll find his signature luxury shoes for as little as $50. The downside is that most are only sample size and if you wear 37.5-38 you’ll be out of luck. Still, I recommend the sale to everyone else. I am linking the rest of this month’s sales that include Hanky Panky, Miista, The Kooples, Reiss, Vince Camuto, OXO, and more. I will be out of town for the next few weeks so please bookmark the events page as I will be updating it with more sales.